You know when people die of old age, that usually their partner will be soon after? I guess that rings true. My Lab/St. Bernard mix, Harley, passed away today. It was his time to go. He had started losing control of his bowels and wasn't his normal self, especially after little Toby died. I had Harley since I was in third grade. We adopted him at a local shelter for $35 and it was the best purchase our family ever made (minus Toby and Figaro). 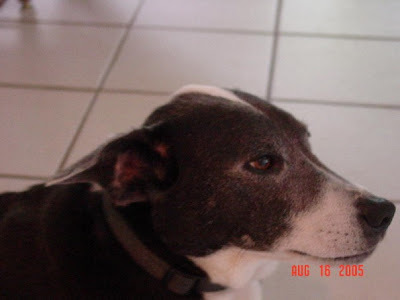 He was just a month shy of his 15th birthday when he passed. He was the smartest dog! SO, so smart. He learned so many tricks when he was a little pup and just grew up to be a great dog. He had plenty of friends in his life, but his best friend was Toby. 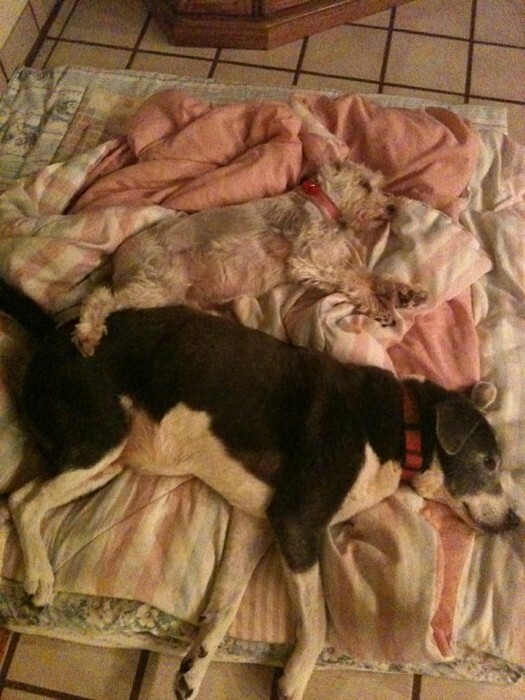 He would lay outside with him in the winter and lick Toby's head and back when he was cold to keep him warm. Then Toby would come inside, his hair looked geled. It was so funny! They would lay together on this big memory foam dog bed my parents got them in the winter by the fire or in the sunroom during the summer. So now I have some solace knowing Toby is with Harley and they are together. And that Figaro is up there too... Toby used to harass Figgy and Harley would always mediate. It's going to be hard going home and seeing a house without our dogs. Or any of the animals from my childhood. I'm a little more at peace with Harley's death because I was expecting it for awhile now and I don't want him to suffer. But it doesn't mean it doesn't hurt my heart any less. I knew him half of my life. I'm sad they're both gone... didn't think it would all happen in just a month. Rest in Peace Harley. You were the best dog.